A cargo ship started to drift in the Pentland Firth between Caithness and Orkney after it lost power. The 229m (751ft) long, 81,000-tonne bulk carrier Leo Iris broke down at about 22:40 on Thursday. 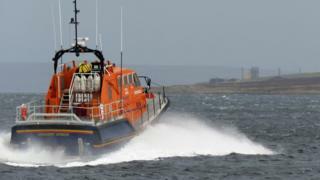 Stornoway Coastguard was concerned the vessel could run aground on rocks at the Skerries, or collide with another ship. An emergency tug and Longhope RNLI were alerted. The Leo Iris' crew managed to make temporary repairs. The engines were restarted by 03:30 on Friday and the crew anchored the ship off South Ronaldsay in Orkney.